This topic contains 2 replies, has 2 voices, and was last updated by UIS Vapes 3 years, 2 months ago. PG/85vg or 13PG/87VG, etc. Is there a way to customize these values? If not, can we add that? @uisvapes, I wanted to keep it as simple as possible, and have a drop down menu. But I’ll look into it for sure. I understand stand about keeping things simple for sure! I simply put the correct ratio in my eliquid description when I had to so it’s not a huge deal. 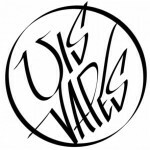 The owner of UIS Vapers likes to make eliquid with as much vg as possible. He isn’t sensitive to PG like some people are, he simply feels like he can taste the PG. So that’s why some of our ratios are strange. Thanks for the reply and being on top of things!